From The New Criterion. September 30, 2013. As I may have mentioned once or twice before in the course of my periodical surveys of the media, I am something of a collector of military obituaries. Or perhaps I should say that I collect British military obituaries, since the British newspapers I read contain many more notices of Britain’s recently deceased and highly decorated veterans — nearly all of them with fascinating accounts of the actions for which they were awarded their medals — than the American ones do of American ones. Here, apart from local papers noticing local heroes, we tend to ignore the deaths of all but Medal of Honor winners or the most high-ranking veterans unless they are distinguished for something other than their military careers. Where else, for instance, but in a Daily Telegraph obituary would the casual reader meet Flight Lt. Tony Snell who, after his Spitfire was shot down over Sicily, escaped first from a German firing squad and then, while badly wounded, from a POW train transferring him to Germany? 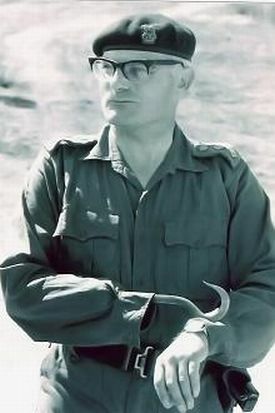 Having subsequently made his way with the help of Italian partisans to Switzerland, he was one of a very few men to be awarded the Distinguished Service Order solely for his heroics in escaping from the enemy. With all that in his background, it even becomes interesting that, in his post-military career, the late Flight Lt. Snell ran a bar and restaurant (The Last Resort) in the British Virgin Islands where, as the Telegraph reported in August, he "provided most of the entertainment, playing the guitar, the piano and the chromatic harmonica, singing songs (many of his own composition) and never fully grasping the meaning of political correctness." Well, I think we can recognize a euphemism when we see one, can’t we? Compare the Times obituary on the same day of a retired Brigadier General named Malcolm Cubiss who, as a young officer in Korea in 1950, had won an immediate Military Cross for his heroism against massively superior Chinese forces. "Quite aside from the sinister hook which had replaced his right hand," reported The Times, he "was a formidable figure. He had a swift and forthright intelligence, a rasping voice and pitiless wit — uninhibited by any great respect for authority. . . He was a natural raconteur and as fearless of giving offence to the pious or pompous as he was of the Queen’s enemies." Any guesses as to the reason for the obituarist’s omission of examples of Brigadier Cubiss’s "pitiless wit"? In one way it might seem a bit cowardly not to be as careless of giving offense as he himself was, but then an obituary is not a proper occasion for giving offense, is it? Besides, the implication of such euphemistic shilly-shallying is that heroes may be permitted a certain licence in their speech not vouchsafed to the rest of us. Something in even the most unbending political correctness must yield to the conviction that, if only the brave deserve the fair, they should also be given a certain indulgence when offending against the pious or the pompous. At least in the monkish enclave of obituary writers’ at traditional print newspapers such indulgence may be possible, and the tendency of the rest of the media, American as well as British, for heresy hunting and offense-taking may be held temporarily at bay. For everybody else, I’m afraid, there is no hope. Heroism itself — admiration for which in a noble enemy I take to be what lies behind the self-identification of a well-known group of football players in our Nation’s Capital with the ethnic warriors formerly known as "Redskins" — seems likely ultimately to prove vain against the armies of the politically correct demanding that "Washington’s NFL team" (as Slate is henceforth to refer to it) should change its name. The problem is that "racism" is now anything that any grievance monger with a claim to come from a racial minority is prepared to say is racism, and therefore "hate-speech," no matter how little actual hate might be involved. It is almost as if the right of any given minority to be aggrieved takes precedence over the plausible exercise of that right or even any real or conceivable grievance. So when Godfrey Bloom, a British member of the European Parliament, foolishly sought to protest against the altruistic dispatch of hard-won tax revenues from his own deeply indebted country to regions identified by him as "Bongo Bongo Land," he was widely denounced in the media as a racist and a bigot — even though there was and is no Bongo Bongo Land nor any people in it to be offended by his words. Pretty clearly he only meant them to typify a far away country of which he and his constituents knew nothing, but "Bongo Bongo" suggested something vaguely African and therefore, presumably, racist — so presumably, indeed, that the likes of the Nigerian Irenosen Okojie in the London Sunday Observer professed to find it odd that there had even been any debate about the matter. And then there was the alleged racism said to have been behind the anonymous prank played on reporters, editors and newsreaders at a San Francisco television station when a Korean airliner crash-landed at the local airport in July. Tori Campbell, on-air news reader for KTVU, read out the names of the aircrew, which had apparently been confirmed by the National Transportation Safety Board, including Captain Sum Ting Wong and his supposed colleagues Wi Tu Lo, Ho Li Fuk and Bang Ding Ow. So far as anyone outside KTVU now knows, the names were supplied to reporters for the station in an e-mail from a formerly trusted source and insufficiently scrutinized once what turned out to be a summer intern at the NTSB in Washington had mistakenly confirmed them. Yet three veteran producers for the station were fired and a fourth took early retirement, while the hapless intern, said to have been a "very intelligent young man" but otherwise as anonymous as the author of the original e-mail, was also sacked. That the anonymity of both was preserved by its respective custodians, including the recipient of the fatal e-mail as well as the management at KTVU and the conscientious bureaucrats at the NTSB, suggests that none really believed these people to have been motivated by racism, let alone "hate." But authority in both cases recognized that it owed a propitiation of some sort to the gods of multi-culturalism, whatever may have been the state of mind of those who had offended against it. Unlike Flight Lieutenant Snell, that is, they were clearly fully in command of the meaning of political correctness. 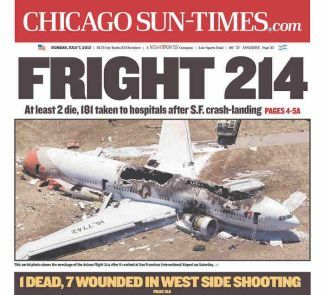 The same was true of the management of The Chicago Tribune which also felt it had to apologize when an anonymous headline writer there described the fatal airliner as "Fright 214" — since he or she might have been seen to be mocking the tendency among speakers of certain Asian languages to mix up their "l"s and "r"s.
Ah! degrés te fallent. . .
and so on. No one when this was published back in 1967 strained to find any racial or xenophobic animus behind it. True, three people were killed and many more injured in the San Francisco airplane crash, so that making any kind of joke about it might be thought to be in rather poor taste, but when in recent years have we found that poor taste ever troubles the media — certainly not to the extent of requiring sacrificial firings — unless it can be claimed to have been at the expense of any of the world’s licensed grievance mongers? These, it now appears, include more or less everyone living outside Western Europe and North America north of the Rio Grande, plus "persons of color," gays, transgendered persons and women wherever they may be. Long ago, before the war in which Flt. Lt. Snell so distinguished himself — a war that has in recent years come to be thought of as a crusade against racism — there was a now-legendary contest among the sub-editors of The Times of London to see who could come up with the most boring headline. Claud Cockburn won it with "Small Earthquake in Chile, Not many dead." Nowadays he would presumably be fired for insensitivity to the dead Chileans. But in those days, of course, newspapers only reported the news, often with a mischievous humor designed to amuse their readers, and occasionally their owners’ opinions. They were not for the most part expected to assume the role of moral leadership that our great media institutions of today have taken it upon themselves to exercise on behalf of a too-often ungrateful public. The importance of this role, formerly exercised by religious and secular leaders who have since been found (as it happens, by the media themselves) to have been unworthy of it, was brought home to us again with the shock announcement of the sale of The Washington Post for $250 million to the billionaire proprietor of Amazon.com, Jeff Bezos. Coming as it did upon the heels of The New Times’s sale of The Boston Globe to the billionaire proprietor of the Boston Red Sox, John Henry, for what was said to be "a fraction" of what it paid for the paper 20 years ago — the fraction in question being approximately one-sixteenth — this set off a virtual frenzy of significance-hunting, especially in the Post itself, most of it to the effect that Mr Bezos was better qualified than the relatively impecunious Graham family to be worthy of the honor of allowing his massive fortune to be depleted in order to keep up the Post’s moral authority as the premium brand of American journalism. I couldn’t help finding it significant that, the day after the announcement of its sale, the Post published an obituary of one Garry Davis who, although he was like Flt. Lt. Snell a veteran of the Allied air forces in World War II, based his claim to distinction and, thus, to an obit in the Post, on his having kept up for sixty-five years the pretense of being what he called World Citizen Number One. Having renounced his American citizenship in 1948 on the grounds that "I no longer find it compatible with my inner convictions to be a party to the inevitable annihilation of our civilization, by remaining solely loyal to one sovereign nation state," the late Mr Davis went on to found five years later the World Government of World Citizens and its executive, the World Service Authority, which issued (for a fee) "passports" to other would-be world citizens. The World Service Authority claims that its passports are recognized as legal travel documents by Togo, Mauritania, Ecuador, Zambia, Tanzania and Burkina Faso. Apparently, it strikes no one at the Post — and precious few outside it anymore — as even odd, let alone scandalous, that thousands of Americans credited with tens of thousands of heroic acts on behalf of their country have passed away unnoticed by the paper over the years, whereas this utopian fantasist who accomplished nothing but a clever scam on loony liberals gets 1000 words of prime news space. Such a state of affairs cannot be quite unrelated to the paper’s institutional world-view — "bias" is too mild a word for it — which, like most traditional journalistic outlets, is both left-wing and pacifistic in tendency. From the "progressive" point of view, that is, Davis and his fellow World Servers were clearly on "the right side of history" with what might otherwise appear to be their quixotic campaign against nations and people’s loyalty to them, while those who risked their lives and suffered appalling injuries as a result of such loyalty to such nations must be considered as relics of an era which, if not yet vanished, soon must be. I, for one, find this state of affairs to be deeply offensive and discriminatory. Not that I expect anyone to care. Yet there may be another sense in which Garry Davis could be said to be a pioneer not only of a fantastical sovereignty but of the sovereignty of fantasy. For in a media culture as insistent as any of the old-time newspaper proprietors in promulgating its own point of view to the world, the fantasy of a single world and a single point of view upon it has become a necessity. 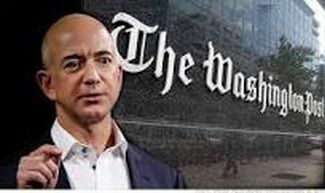 The purchase of The Washington Post may come to be known as "Bezos’s Folly," but if it does so it will be because what this mad billionaire can expect to spend on it will dwarf the paltry $42 million he is said to have shelled out on a previous folly, namely a 10,000 year clock inside a remote mountain in West Texas. 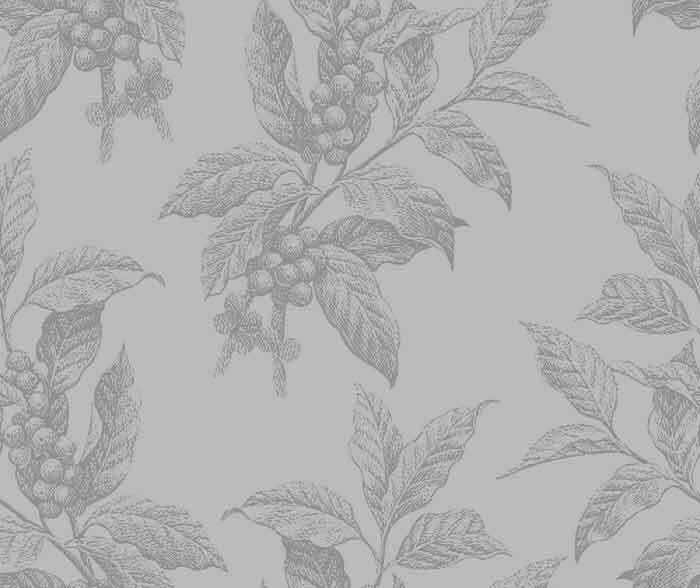 Its second hand ticks away years and its minute hand centuries, while a cuckoo comes out to herald each passing millennium. This is a sort of translation into mechanical time-keeping of Garry Davis’s World Service Authority, since both involve the pretense or gesture of taking an ideal view of the world and human life (to which alone time-keeping has any meaning) that is not and cannot ever be the view of actual living persons — except by the sort of affectation by which the Post and other high-minded media these days purport to speak on behalf of the planet. The sale of the Post to Mr Bezos provided other examples of the triumph of fantasy at 1150 15th Street, N.W., the paper’s headquarters. On the front page the same day that Mr Davis’s obituary appeared in the Metro section, reporters were positively giddy with excitement about the paper’s golden future, perhaps to rival that of the World Service Authority, promised by this "reboot" — not only of the Post but of the whole moribund industry of which it is currently such a signal example. "Amazon.com founder Jeffrey P. Bezos’s purchase of The Washington Post promises not just an ownership change for the 135-year-old institution," wrote Matea Gold and Cecilia Kang, "but a potential transformation of the fusty mechanics of the newspaper business." To be sure, a note of caution was then sounded. "It remains to be seen whether the experiences of an Internet behemoth can be successfully applied to a legacy newspaper — and whether Amazon- style customer targeting would be palatable at a news organization," but the euphoric tone of the piece, like most of the rest of the Post’s coverage of its own change of ownership, belied the doubt. As an adjacent headline put it, "The sale of The Washington Post: How the unthinkable choice became the clear path." And so, it appears, all is for the best in the best of all possible worlds — for who can doubt the historic necessity of the Post, any more than we can doubt the ultimate triumph of Garry Davis’s world government? The possibility that the paper has been shedding subscribers and advertisers at such an alarming rate at least partly because fewer people want to read about the likes of Mr Davis than any of the many things the editors and managers now seem to consider beneath their notice, like veterans who are not also victims, can be ignored for a little while longer. Don Graham’s decision to sell The Washington Post was his reverse Sophie’s Choice moment. She had to decide which cherished child to save and which to send to the gas chamber. Don and the Graham family weren’t forced to make an anguishing choice but did so anyway. They relinquished the newspaper they love in order to protect it. If the comparison sounds hyperbolic, you don’t know the Grahams. And nor, apparently, would you want to — at least not if you retain any slender tether to reality. That Ms Marcus, while otherwise so solicitous of the victims of tastelessness and insensitivity, is blind to the spectacular tastelessness and insensitivity of her analogy of herself and her privileged friends to Holocaust victims might be considered one of the wonders of the age if it or something like it were not so common among the media’s legion of apologists for the media. Having imaginatively identified themselves with the putatively victimized throughout the world, they have by degrees come to see themselves as victims too, and as enjoying the victim’s privilege to condemn their supposed victimizers in the roundest of terms. Within the rarefied world that she and so many others inhabit, a similar self-importance and self-dramatization seems to become almost routine — perhaps because they spend so much time seeking occasions to be outraged by the tastelessness and offensiveness of others.